VANCOUVER — This is the story of a girl who has never been afraid to get her feet wet. In fact if you listen for the sound of a splash, you know that Brianna Cairns can’t be too far away. That’s the most apparent commonality when you’re talking about a UBC student-athlete who has followed the seemingly divergent paths of budding marine biologist and nationally-ranked middle-distance steeplechase runner. Yet spend any amount of time chatting with the Anmore native about the unique trajectory of her dual passions and it becomes clear that they actually converge on a daily basis. Still navigating herself back to full health after taking a few hard falls in the water pit during the 3,000-metre steeplechase at last season’s NAIA national championships, the 22-year-old senior spent this past summer as an assistant trainer with the sea lion team at the Vancouver Aquarium. The breadth of her pursuits defines the total university experience, and when you ask her for some stories from the journey thus far, you realize that her commitment to excellence has not come without sacrifice, even if that sacrifice has at times gotten a little comical. In May of 2015, Cairns was part of a 10-person party from the UBC Aqua Society setting up camp on a tiny island that is part of the nation of Belize, some 4,700 kilometres away from Vancouver in the Caribbean Sea. If running on famed Hayward Field in Eugene, Ore., is considered a mecca in the world of track and field, then the pristine white sand, bathtub-warm waters and coral reefs off tiny Tom Owens Cay are the marine biologists’ best comparable. For Cairns, however, the trip had come on the LITERAL verge of NAIA national track and field championships, which she had trained so hard to qualify for and which were set to begin in Alabama just five days after her return to Vancouver. Nonetheless, Cairns completed her studies in Belize, flew back to Vancouver, then went straight on to Alabama where she would finish third in her steeplechase heat, just missing out on qualification to championship final. It’s not often that a childhood moment shapes the path of your professional career, but in the case of Cairns, that is precisely what happened. 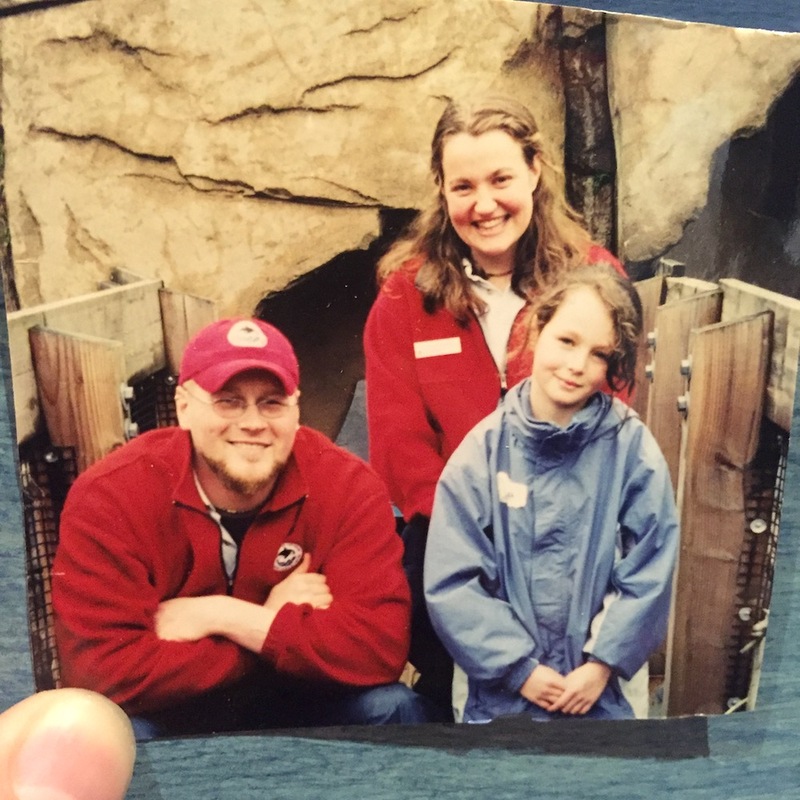 “For my eighth birthday, I got to go to a Meet the Sea Lions thing,” she begins of a trip to the Vancouver Aquarium. “I might have even skipped school that day to go. There is a picture of me next to one of the trainers. In fifth grade, while attending Anmore Elementary, Cairns went on a field trip to the Open Water Research Laboratory in Port Moody. That day, she posed for a photo with trainer Nigel Waller, whom she got to know again 12 years later in the summer of 2016, when she was hired there as a research technician. It was at the centre, a partner project between the Vancouver Aquarium and UBC’s Marine Mammal Research Unit, that Cairns came to know and study four female steller sea lions named Sitka, Yasha, Boni and Hazy. 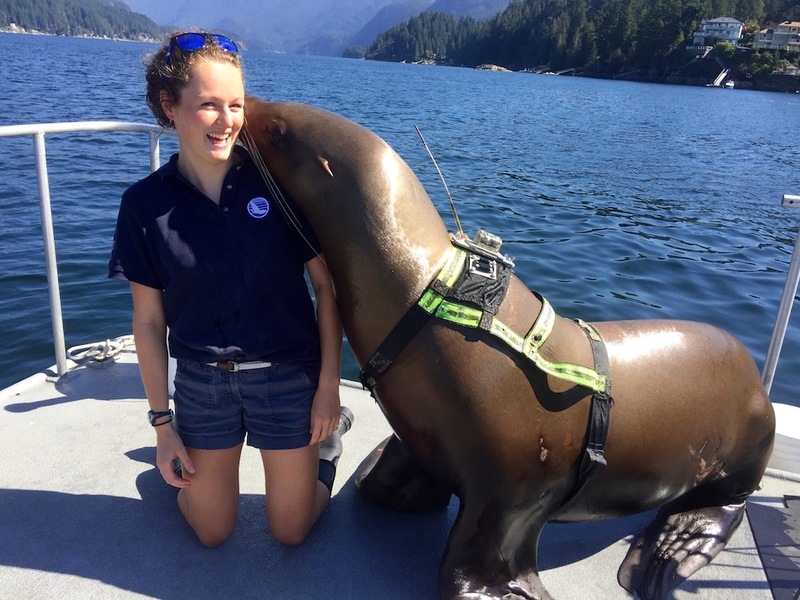 “There is so much that we don’t know about the oceans, so studying these mammals that are similar to us in a lot of ways, yet exist in a completely different world, is really fascinating,” says Cairns, who continues to study under UBC’s Dr. David Rosen, and wrote her honours thesis on the body composition of steller sea lions in the wild. These days, as Cairns prepares to finish off her degree, she is taking a practicum at the aquarium’s marine mammal residency centre, working in the rescue program by caring for harbour seals and sea lions. “Right now I am trying to put my feet in as many doors as possible,” she says when asked about beginning her professional career in earnest next year. Sounds just like the girl who has never been afraid to get her feet wet. As a member of Heritage Woods’ graduating Class of 2013, Cairns served as her class valedictorian, and that year was featured as part of The Province’s Head of the Class. When asked if she might be continuing her athletic career at UBC, Cairns was non-committal. A non-recruited track athlete, Cairns nonetheless loved running and decided to email then-UBC head track coach Marek Zedrzejek to ask if there were any recreational running clubs she could join on campus. Instead, Jedrzejek asked her if she had a car, and if so, to attend the varsity team’s cross-country running camp in Whistler. Ever since, she has blossomed. 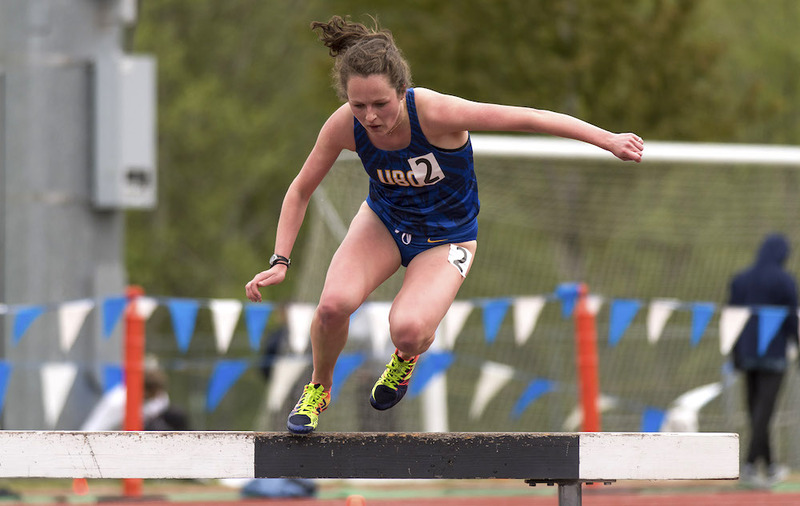 Last season, she finished 16th at the NAIA national cross-country championships, and followed that with one of the top seeds heading into the 3,000-metre steeplechase final at the NAIA national track and field championships. Laurier Primeau, now in his third year as UBC head coach, admits that the growth of the program has upped the performance standards for entry and would preclude the ‘Birds from taking a chance on a more neophyte talent like Cairns was back in 2013. Primeau has loved how Cairns has out-performed expectations and become a national contender in the steeplechase. For Cairns, her senior season on the trails and track come with extended purpose. Ranked No. 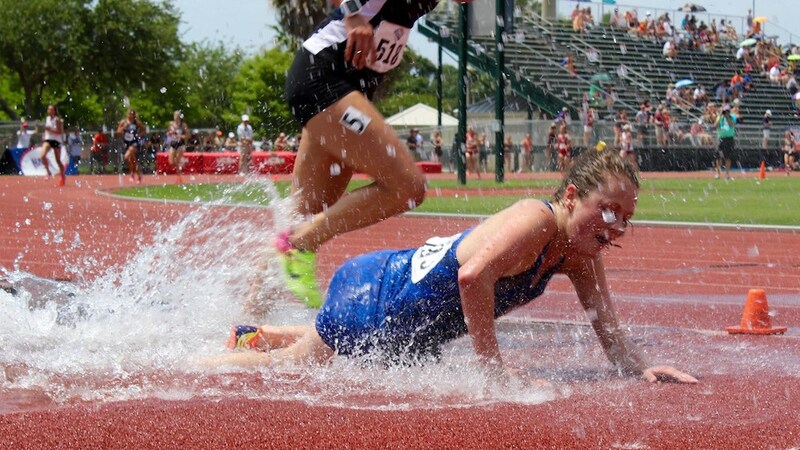 3 in the steeplechase, Cairns had what she calls her ‘race from hell’ at nationals, where she took a number of spills and suffered a foot which is still preventing her from running at full health. That’s the girl who’s never been afraid to get her feet wet.